He was both loved and loathed in France. Flattered and caricatured in seemingly equal measure, singer Johnny Hallyday will be remembered as a star of stage and studio. Hallyday had a remarkable face to go with his voice, a fact not lost on Swiss master Jean-Luc Godard, who cast him against type in 1984's "Detective". His career was marked by his songs and concerts, but also his personality. While in the Anglophone world, he was nicknamed 'the biggest rock star you've never heard of', in his native France, he was one of the most scrutinised and publicised figures in recent history - a popular man, that even politicians liked to woo. Hallyday accepted, endorsing conservatives for decades, and drawing scorn from the left. In 1988, paraphrasing one of his own song titles, Hallyday told an RPR political rally, "We are all expecting something from Jacques Chirac". Hallyday had supported Giscard before that, and would later support Sarkozy as well. Born Jean-Philippe Smet in Paris in 1943, Hallyday was just 17 when he made his first splash on the French music scene. He went on to sell over a hundred million records. In truth, Hallyday stunned sleepy 1960s France with his long hair and Elvis onstage moves. He stole freely from other artists with cover versions galore, for which he got the best session musicians and producers available. For his record company, he was a goldmine. Blessed with a great voice, he introduced rock and roll culture to France, ensuring his iconic status. 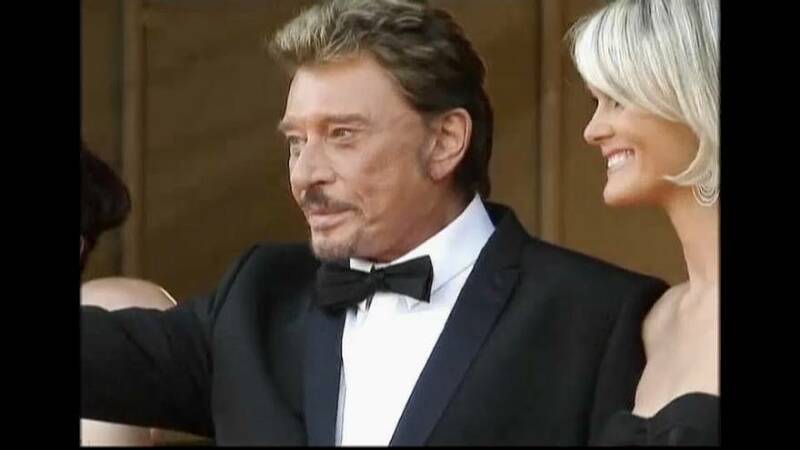 Hallyday leaves behind his fourth wife, Laeticia Boudou, four children and a legion of adoring fans who should ensure the legend will never die. Hallyday was such an icon this 2006 movie imagines a world in which he doesn't exist, to the chagrin of his biggest fan, the immense French actor Fabrice Luchini. Hallyday also stars, as himself.